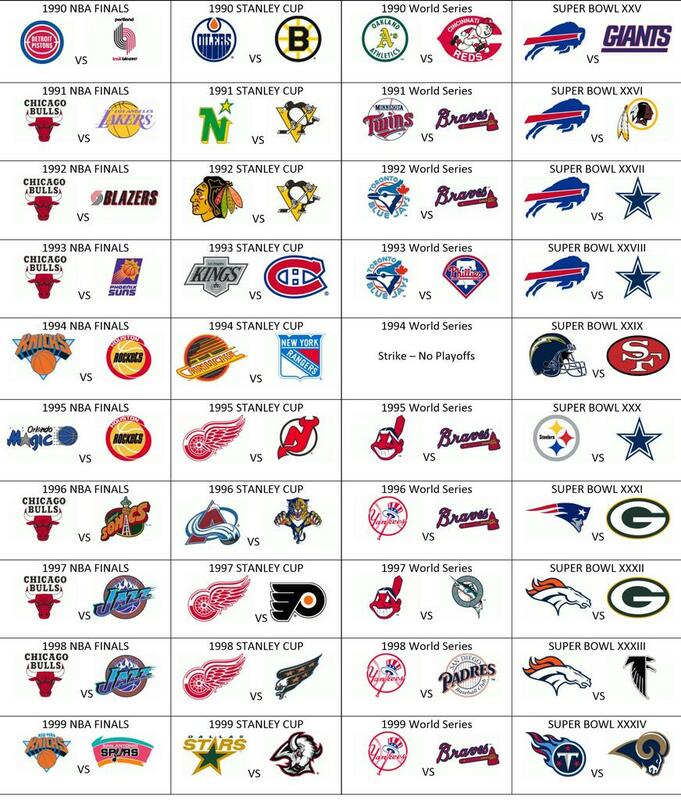 Can you pick the NBA, NHL, MLB, and NFL teams that won championships during the 1990s? There is one guess allocated for each championship. If you click twice for one championship, you will not have enough answers for the remaining picks.